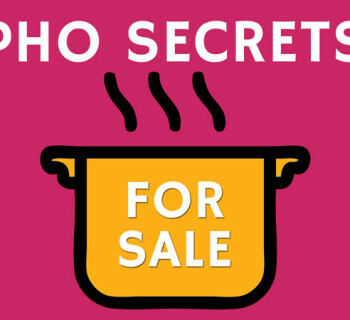 Fans of Vietnamese pho, both from Vietnam and outside of Vietnam, and whether or not they have Vietnamese ancestry, have become used to that plate of garnishing that accompanies a bowl of pho. 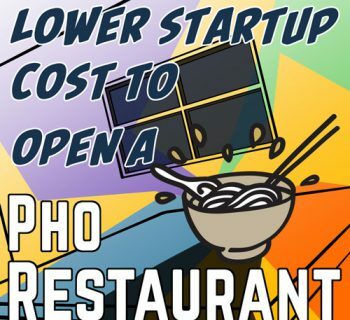 Some even think that pho looks quite forlorn without that plate of garnishing. Bean sprouts, Thai basil, culantro, wedges of lime and fresh Serrano chili pepper are the expected garnishing to accommodate a steaming bowl of pho. 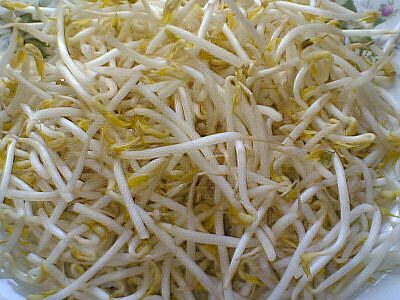 In this article we'll take a look at bean sprouts, that almost tasteless, odorless and seemingly unimportant ingredient. If you were to ask a Vietnamese pho purist, he or she would say that bean sprouts are not necessary ingredients to pho. 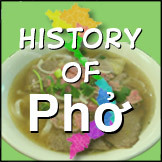 In fact, the pho purist may be quick to point out that the original pho, which is pho bac or pho of North Vietnam, did not even have bean sprouts or any of those garnishes so common to southern pho. A hot and tasty broth over fresh rice noodles and good cuts of beef are enough to make a perfect bowl of pho. For many pho eaters, the role of the herbs, spices and sauces that are included in that plate of garnishing is meant to enhance the sumptuous flavor of pho beyond what's already in the bowl when served. In addition, they also add to pho's overall texture. This is not really unique to pho, however. Many Viet dishes, especially the noodle varieties (those with broth or dry, served hot or at room temperature), require some kind of green garnishes of herbs and vegetables to be added to the main dish at the table. So bean sprouts is one of those popular fresh ingredients, and its use to enhance pho is well known. Generally speaking, bean sprouts are stalks that germinate from any kind of bean seed. In the case of the bean sprouts used in pho, they come from sprouted mung beans. 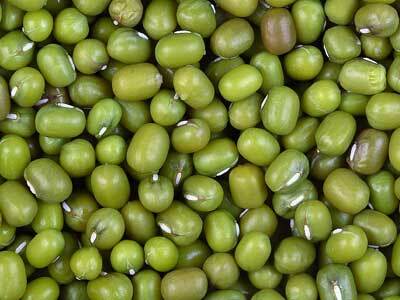 Mung beans are legumes with green husks. They are also called mash beans, green beans, green soy, moong or monggo. The sprouts of mung beans are simply called bean sprouts. These sprouts have white or silvery stalks. When the husk is removed from the heads, the heads are yellowish in hue. Bean sprouts can be eaten raw, but they can also be included in quickly cooked stir-fry dishes. 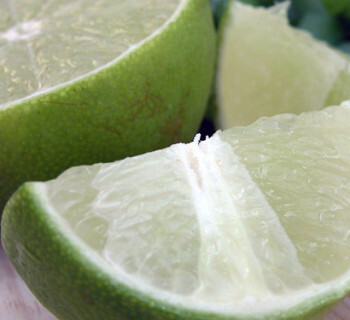 They are crunchy when raw or just slightly cooked, and they have a fresh, light sweet taste. It is widely said that bean sprouts have been around and have been used in cooking and for medicinal purposes for more than five thousand years. Mung beans originated in the Indian subcontinent, and through trading and conquests, they made their way into China, where they became an important part of Chinese cuisine. Since Chinese cuisine is a major influence in Asian cuisine, both mung beans and bean sprouts found their way into the cuisines of India, East Asia and Southeast Asia, including Vietnam. Bean sprouts, as mentioned above, are optional ingredients in Vietnamese pho. They are served separately from the bowl of pho, in a plate of garnish that also includes lime wedges, Thai basil and chopped Serrano chili. 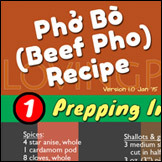 In pho bac, bean sprouts and the other garnishes are generally omitted. Despite the fact that bean sprouts are only optional in pho, many pho eaters want them in their bowl nonetheless. These sprouts enrich the layers of flavor and texture of the already flavor-rich pho by adding in some crunch and a bit of sweetness into the dish. Overall, bean sprouts help make pho a more balanced dish. The idea of balance in every dish served in a meal is a philosophy of Chinese cooking. In Chinese cuisine, it is important for the five types of tastes - sweet, sour, bitter, spicy and salty - to be satisfied in a single dish served in during the meal. These five tastes should exist in harmony within the dish instead of compete with each other for dominance. 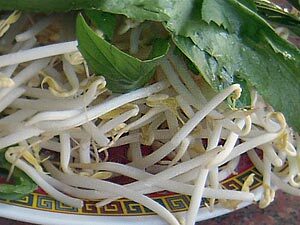 In pho, bean sprouts contribute to the layer of sweetness. If you are familiar with bean sprouts at all, you know that it can be eaten raw or cooked, or somewhere in between. In many Vietnamese dishes, and clearly in pho, bean sprouts can be enjoyed at any of the cooked state just mentioned. If you want fresh raw sprouts in almost every bite, then add them in the bowl a few at a time. If you like them somewhat cooked, then add more at the beginning so they are cooked while you eat. Finally, if you like cooked sprouts, add them all in when the broth is still boiling hot; you'll then enjoy fully cooked sprouts as you proceed eating your pho. Alternatively, many also order blanched or steamed bean sprouts on the side. 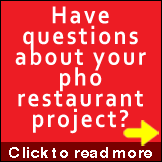 See more in the article "Tips on Ordering Pho." In fact while bean sprouts are often provided raw in the plate of pho garnishing, some pho recipes recommend blanching bean sprouts in hot water for five to ten seconds. Exposing these sprouts briefly in heat takes away a little of the bitter aftertaste, enhances the sweetness of the sprouts and releases a form of protein in bean sprouts that are not present when they are raw. It is quite hard to experiment with a dish as steeped in tradition as pho, but if you want to make your own pho at home and if you do not have bean sprouts available, you can probably substitute other kinds of sprouts. Sunflower sprouts, for instance, are just as sweet and crunchy as bean sprouts. Soybean sprouts are softer, though they taste less like beans. Alfalfa sprouts will wilt the moment you put it into your hot pho broth, but they also taste the same as bean sprouts. If you are trying to lose weight, you should put bean sprouts in your pho. Bean sprouts are the weight-losers' dream. A regular serving of the sprouts contains only 26 calories, and the sprouts are rich in protein, folacin, fiber, iron, potassium, and vitamins C and K. Bean sprouts are also low in sodium, cholesterol and saturated fat. So, they are really good to eat. However, you should take care to buy only fresh bean sprouts and you should consume them no more than two days after buying them. You can make them last a week though by storing them in a bag with a little water and put them in the refrigerator. 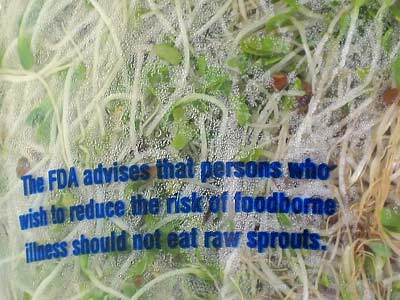 There are rumors that eating too many raw bean sprouts can lead to salmonella and other such ailments, and if you are wary of that, you can blanch your sprouts before eating them. To avoid eating legumes that have toxins in them, as the FDA has warned of the risks of eating raw sprouts, you can make your own bean sprouts. This is actually very easy to do. Buy your mung beans from a reliable supplier and soak them in cool water. If there are hard seeds in the mix, you can choose to throw them out. You will know which seeds are the hard ones because they sink to the bottom when you soak them in water, and they are darker than the others. If you do not want to throw the hard seeds out, you can soak your hard seeds in warm water for 12 hours. Then, just rinse them and soak them in a container of cool water. After the 12 hours have passed, drain the water out and just set your seeds aside. It usually takes two to three days for the bean sprouts to spring from the seeds. Rinse and drain your seeds thoroughly every eight hours, but without disturbing them too much. If you are going to make your own bean sprouts, it is recommended that you buy a sprouter, a container specifically made for sprouting beans. Store your seeds in a place where they are safe from direct light and where they get enough air. Contrary to popular belief, it is not necessary to keep sprouts in total darkness. Thus, you do not have to put your sprouts in a cabinet. Actually, this may harm your sprouts because the ventilation inside your cabinet may not be good - it can make your sprouts inedible. So there you have it - the relationship between pho and bean sprouts. It may look like an odd couple, but it works well. It is up to you if you want bean sprouts in your pho, but many add them purely out of habits because it's just natural to eat them together. One thing for sure is that they make your pho a lot more interesting to the taste. They bring an added crunch and an added sweetness to your bowl. Interesting to learn that bean sprouts are not customary for all pho eaters. Ever since I began eating it (back in early 2006), I’ve always had bean sprouts with it. I guess it wouldn’t be necessary but, I do like how it thickens up the amount and adds that crunch, you know? @Scotty Snacks. I think for pho eaters who had more than a few bowls, grabbing the bean sprouts has become a habit. And for the newbies, they just do what others do:) But really it is definitely a personal choice. I would never have guessed that the lowly sprouts is running head-to-head in second place with the lime, just behind Thai basil in “What’s in your pho?” poll above. @Jerine. Thanks for visiting. Yeah I’ve had foodbuzz.com on my to do list for a while. Your comment will probably give me a good kick. Thanks.